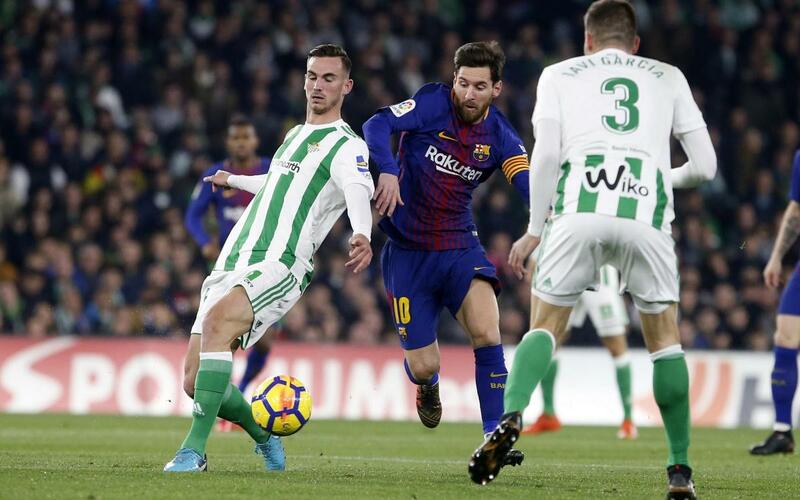 FC Barcelona recorded a commanding 5-0 win at Betis in the Benito Villamarín to get the second half of the league season under way in the best possible manner. Messi's two second half goals were complemented by a brace from Luis Suárez also and a goal from Ivan Rakitic to record a second half performance to remember. The game was not just memorable for the goals as Leo Messi put his whole repertoire on display, at one moment lifting the Betis fans themselves onto their feet in appreciation. "We live in an age in which we can see the best. It's pleasure to have him with us. He is the best player that there is and there ever has been," explained coach Ernesto Valverde after the game when asked about the Argentine. Follow Messi's breathtaking moves in the video above and the reaction of coach Valverde in the video below!